Celebrating the Archdiocese of Birmingham! It may have been a wet and windy Sunday morning, but that didn’t deter the faithful gathering for a very special event at Cardinal Wiseman Catholic School. Yesterday the Diocesan Celebration Day took place to celebrate not only key events in our Archdiocese, but the canonisations in Rome. And so it was fitting that Cardinal Wiseman – part of the Oscar Romero Multi-Academy Company schools – hosted the event. 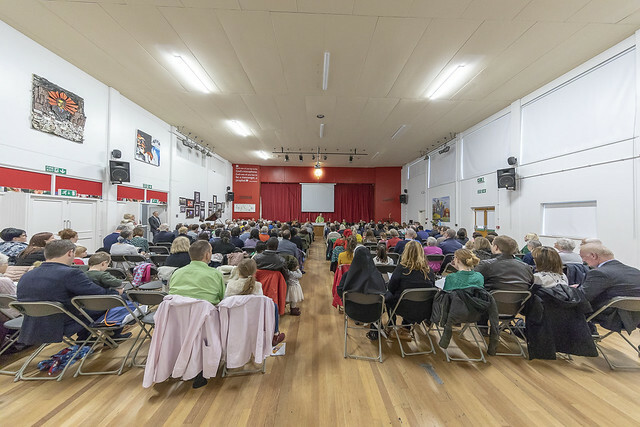 As guests arrived they were able to visit the many stalls that had been set up, before taking their seats in the school hall to catch some of the canonisations being live-streamed from Rome. The following were made Saints by Pope Francis: Blessed Oscar Romero; Blessed Pope Paul VI; Blessed Francesco Spinelli; Blessed Vincenzo Romano; Blessed Maria Catherine Kasper; Nazaria Ignazia and Nunzio Sulprizio. At 11am everyone gathered in the school hall for Mass, with Archbishop Bernard Longley as principal celebrant. Bishops David McGough and Robert Byrne concelebrated, along with Fathers Eddie Clare and Dominic Cosslett. During the service Archbishop Longley took time to reflect on the recent World Meeting of Families and Adoremus, the Eucharistic Congress – both of which were heavily attended by people from across the Archdiocese. And those themes carried through to the afternoon, during which there were verbal and video presentations on both. 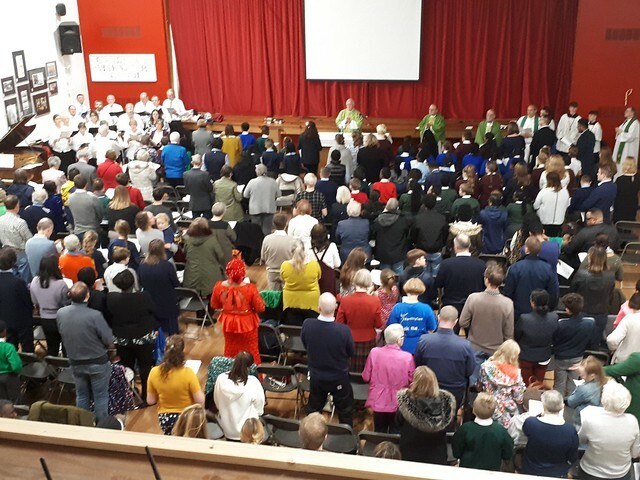 All eight schools in the Oscar Romero Multi-Academy Company were represented at the Mass, which ended with a rendition of the Romero MAC hymn. As part of the afternoon events Jessica Michaelmore and Francis Stewart from CAFOD spoke about the relationship between newly-appointed Saints Romero and Paul VI. The celebration day culminated in a very moving performance by RISE Theatre, which they had performed in front of thousands of people at Adoremus last month.